This card says it all... to count your blessings! I am grateful for everything that has happened & going to happen in my life. Each time, God surprises me with new things, new opportunities and in fact new friends! He just knows how to put a smile on my face :) What a mighty GOD we serve. Amen! 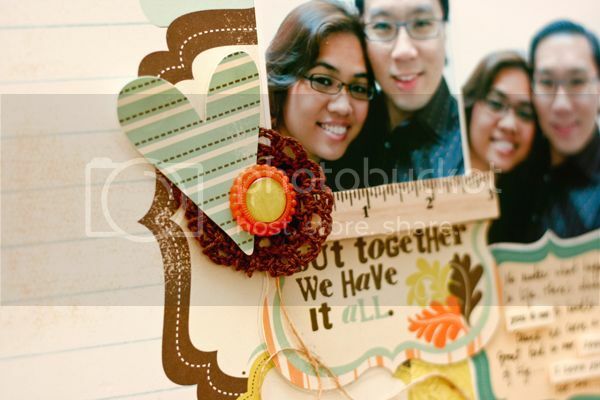 My girlfriend, Cindy aka the famous card-maker from Penang came to visit us last October. We had so much fun even-though it was only for 1.5 days together! I do wish it was longer... maybe next time! 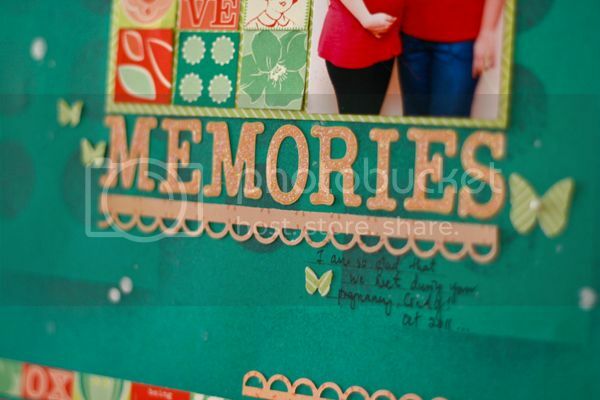 We had a lil photoshoot and the best way to treasure all these memories is to scrap them, rite? 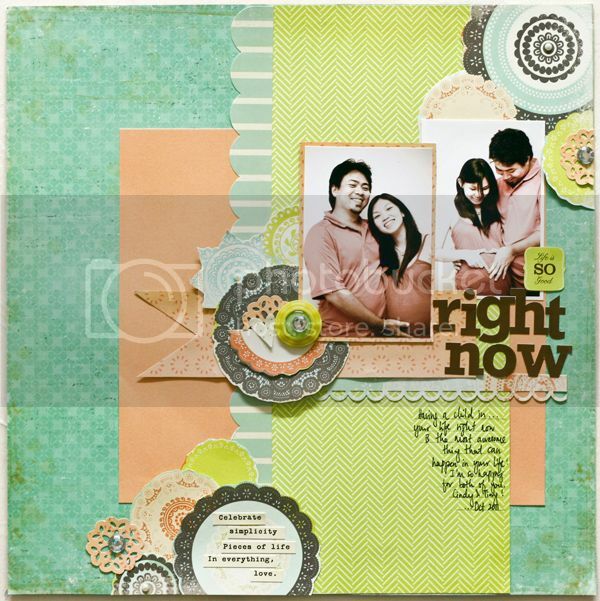 Lastly, a precious layout of these awesome couple! Love the colors in this Fancy Pants collection. I would like to thank Elaine McManus for a wonderful opportunity & believing in me! Remember to check out her kits each month because they are simply irresistable...trust me on that! 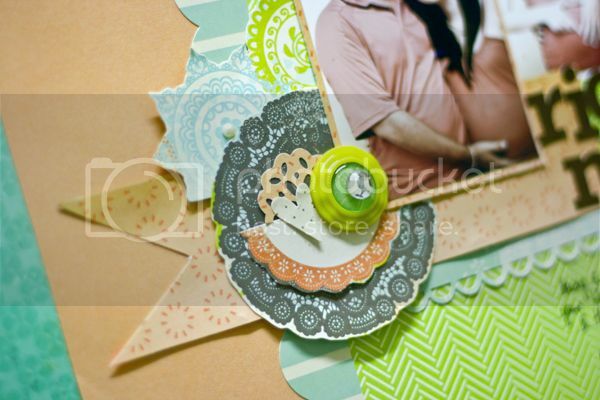 Oh yeah, my Festive Fetes online-classes @ Ms. Art's Papercrafting School is now available. Do check them out HERE!! Classes at Ms. Art's are just so affordable, you gotta check it out to believe it! beautiful projects! So glad i found your blog. 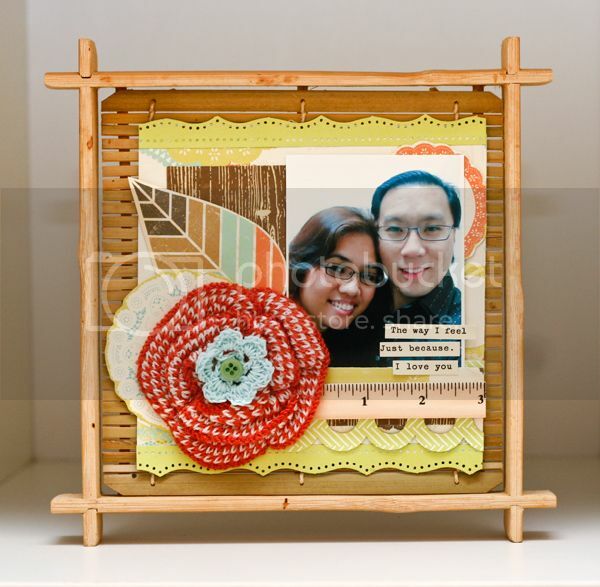 i really like the sushi plate as a frame/altered item. Such adorable projects Jessy. That kit looks fab. Thanks so much for the inspiration!! hi jessy... sorry haven't been here so long, How r u? when are you going to sing again? All these projects are fabulous girly, LOVED it!!! So many cute projects you have, I am definitely in love with the colors!!! You shine Jessy! everything you do is a work of art! WOW!!! AMAZING!!! Beautiful projects Jessy - you totally rocked that kit! !